Congrats to Serena S, who won A Clean Break (Gay Amish Romance #2) to Keira Andrews! A Clean Break is being released today by KA Books. Congrats to Waxapplelover, who won Pluck and Play (With a Kick #5) by Clare London! 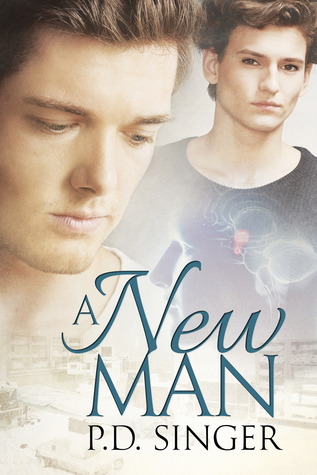 Many thanks to PD Singer for donating an ebook copy of her forthcoming m/m romance, A New Man, for a lucky commenter to win! A New Man will be released by Dreamspinner Press on February 9. Senior year of college is for studying, partying, and having fun before getting serious about life. Instead, Chad’s days are filled with headaches and exhaustion, and his fencing skills are getting worse with practice, not better. Then there’s his nonexistent love life, full of girls he’s shunted to the friend zone. Is he asexual? Gay? Grad student Warren Douglas could be out clubbing, but his roommate is better company, even without kisses. He’s torn up watching Chad suffer, gobbling ibuprofen and coming home early on Friday nights. If Chad weren’t straight, Warren would keep him up past midnight. They’re great as friends. Benefits might answer Chad’s questions. …but Warren fell in love with the old one. To enter, leave a comment stating that you are entering the contest. Contest closes 7 pm CST, Monday, February 9. Posted by Chris on Tuesday, February 3rd, 2015, at 2:00 am, and filed under Contests, Reading. Count me in please. A little tired of waiting I think. Don’t indulge him for a minute, Chris and he’ll go right back to sleep. Life is though when you’re Chaos. 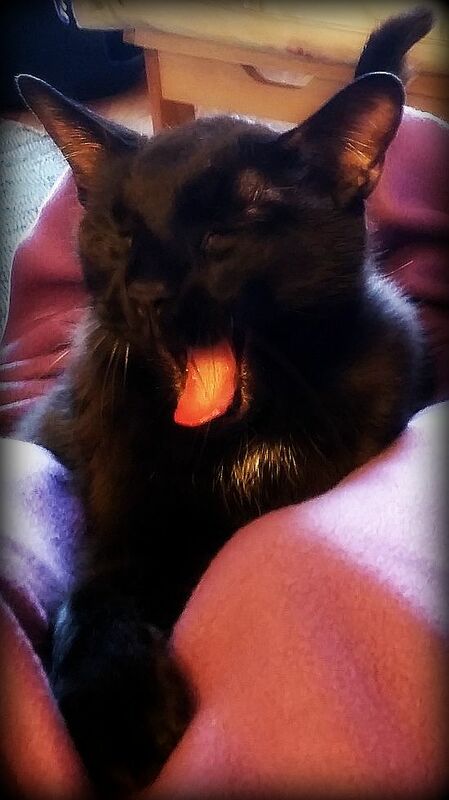 I’m feeling the same way, Chaos – but obv not about the kitty treats, but nap time! A recent post from Kate..January – in summary…. Would love a chance to win a copy of A New Man! Thanks for the giveaway! Definitely count me in for this! Count me in! oh. did I win the previous? Count me in, please! Thanks! Nap! Count me in, please. Add me as well, thanks. Sounds very interesting. Hey Chris, definitely count me in on this one. I’ve been seeing awesome things about this book and would love a chance to win a copy. Yes, please count me in. Go back to sleep Kitty. Oh yes – please count me in for this one! 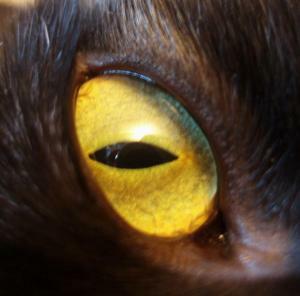 If Scobby snacks are for dogs, what are the treats for cats? I would like to be entered in the contest. Thanks! Sounds fantastic! Thank you so much for the chance to win a copy! I’m with Chaos. I’ll take either a nap or treats. Or both. Would love a chance to win a copy of A New Man! Please count me in!